Kara Hayward shot to fame as a 7th grader all thanks to one casual decision she made – attending an open casting call for Moonrise Kingdom (2012). She got the role of Suzy Bishop and became the breakout star of the coming-of-age film, turning heads and leaving critics speechless. Hayward has since gone ahead to solidify her place in the entertainment scene and most of all prove that her debut performance was far from a fluke. Hayward has it in her and seems like one of those faces that would remain very relevant in the industry for ages to come. 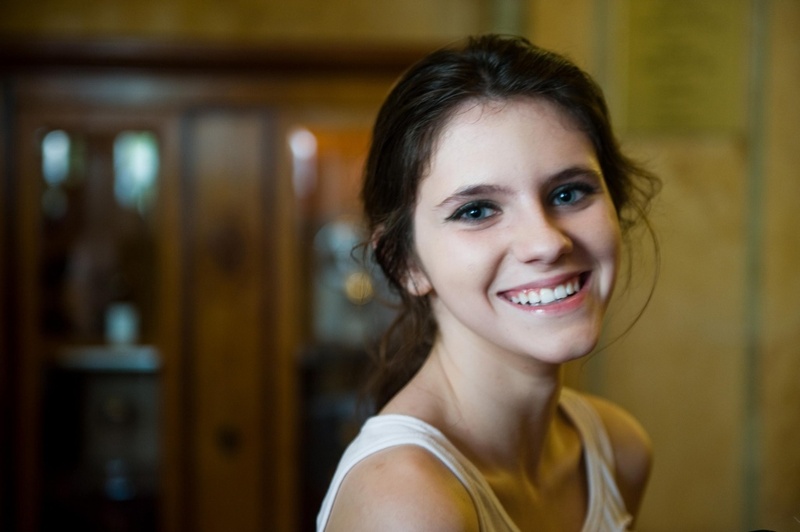 Kara Hayward was born on 17th day of November 1998 in Andover, Massachusetts. She attended Andover, Massachusetts high school where she discovered her love for acting at summer camps where they were asked to write and act in their own films. In addition to acting, Hayward also took dance classes. Apart from school plays, Hayward had no professional experience in acting prior to landing her role in Moonrise Kingdom. Her dance teacher informed her about the open casting call for the movie that took place in nearby Boston and Hayward only chose to attend just for fun with little or no expectations that she would wow her audience. It was a mix of shock and excitement when she got a call to meet with the legendary Wes Anderson, the film’s director and writer who gladly offered her the role of Suzy Bishop starting her journey to movie stardom. It was while watching Wes Anderson on set that Kara Hayward decided to pursue acting full-time. The movie was both a commercial and critical success with Hayward receiving much praise. She earned a handful of award nominations and alongside her fellow cast won the PFCS Award for Best Ensemble Acting. In the following year, she made her small screen debut in an episode of Law & Order: Special Victims Unit and also got a part in an episode of White Collar. In 2015, Hayward had three films released – The Sisterhood of Night, Quitters, and Fan Girl. She got a role in the critically acclaimed Kenneth Lonergan tragedy film, Manchester by the Sea (2016). Though her career seemed to have begun abruptly, Kara Hayward didn’t bail on school but completed her high school education. Like her Suzy Bishop character, Hayward is a bookworm. She is said to have a very high IQ and from 9 years old has been a member of Mensa, the world’s highest and oldest high IQ society. While she is focused on increasing her filmography, Hayward plans in the near future to write her own films and considers studying the craft in college. Some of her 2019 projects include To the Stars and the horror film, Us. Kara Hayward is one beautiful girl standing at a height of 5 feet 5 inches tall. She’s got amazing blue eyes and a natural brown hair color. Kara Hayward’s parents have been her biggest fans. They have shown her massive support from the onset. She does come from a small nuclear family consisting of her parents; Karen and John Hayward as well as her younger brother who is her only sibling. When the opening of Moonrise Kingdom at the 65th annual Cannes Film Festival meant she would travel out of the country for the first time for the premiere, her entire family tagged along and all were hosted to a treat at the Hôtel Martinez. Hayward’s family couldn’t be prouder of her achievements. Kara Hayward’s amazing talent on the screen has quickly garnered her fans who have become not only interested in her professional life but her romantic life as well. Despite her young age, searches about her boyfriend abound online, but her fans can’t be blamed, after all, Hayward’s first ever film, Moonrise Kingdom was about first love and her impeccable performance left fans to wonder what her real romantic life could look like. But Hayward is only a natural, her kiss in the film with Jared Gilman was her first ever kiss, she revealed to Rotten Tomatoes. So far, she is yet to be romantically linked with anyone, however, by our calculations, her first coupled-up red carpet debut doesn’t look to far off. We’ll be on the lookout.